Man cuddling next to tired woman. 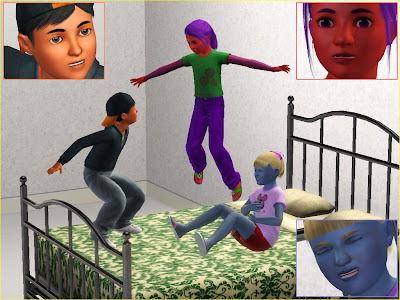 Three kids jumping on the bed. Two kids fooling around on the bunk bed. This pack started off as a request of a couple laying on the bed, which is the first pose featured at the top of this page. Then I wanted to make it into a pose pack of tired/sleepy sims or sims playing on the beds (kids mostly). Two different people gave me the idea of kids jumping on the bed and a baby curled up next to their daddy. 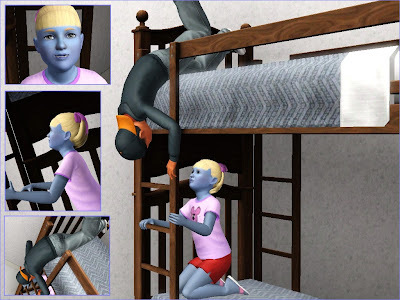 The last two sets of poses of the kids on the bunk bed and the kid carrying the toddler were poses I threw in there myself. I really hope you enjoy these poses as much as I did creating them. Models: Random sims I created. Some of the sweetest most realistic poses I've seen in a while, thank you! 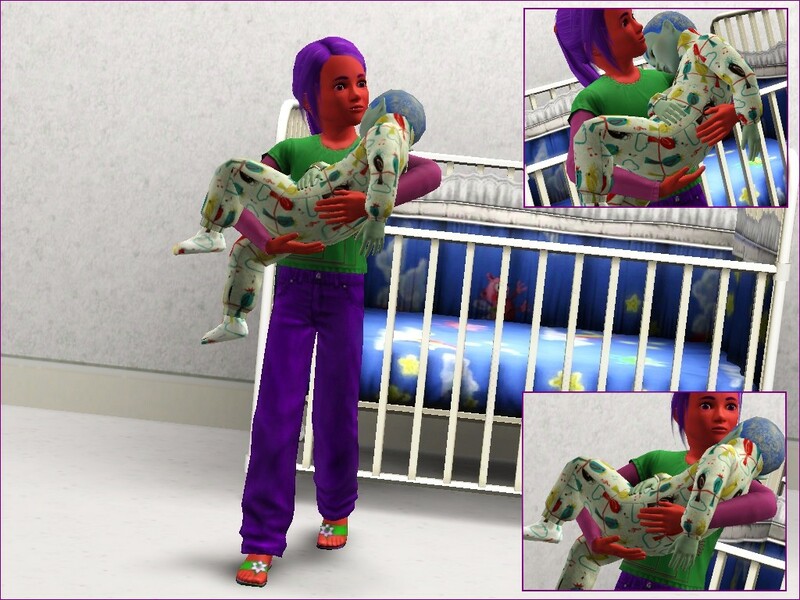 is there a pose where parent is carrying sleeping child or/and toddler.. its one i would really like to get.. and/also there teen sibling carrying there youger sibling be a toddler or child.. I am so taking those... thank you!! Nice. Link to functional bunk bed? Great work. 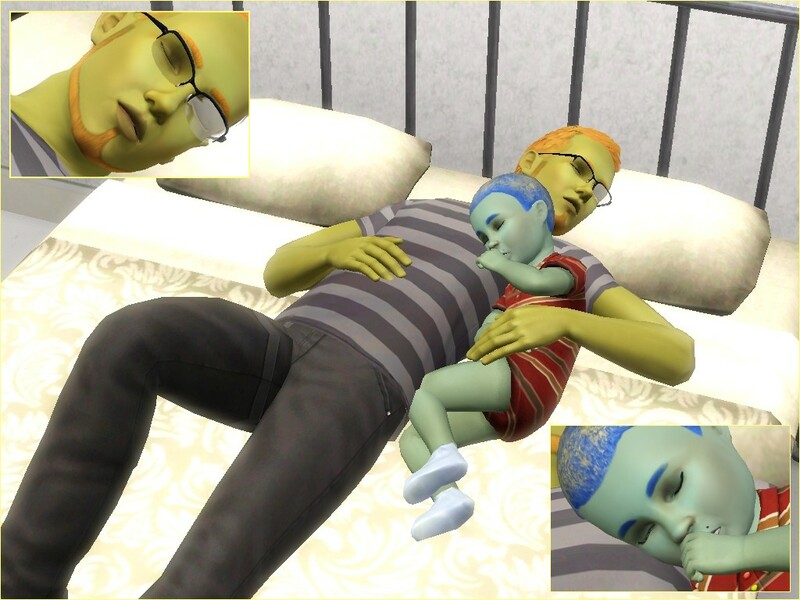 The bed I used for the pose is from the Generations EP. Great poses. I just wanted to let you know that the link for the female cc hair doesn't work. The link works fine. 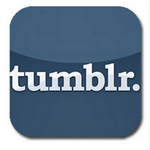 I just don't know where the hair is located in the site.